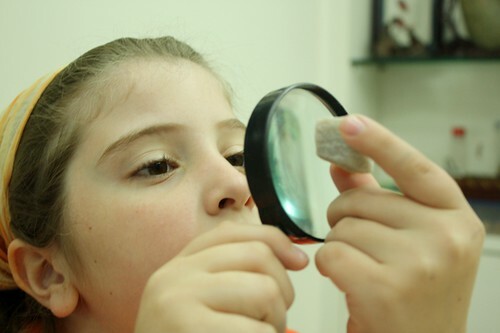 Living books plus hands-on investigation are hallmarks of a Charlotte Mason (CM) education. Our study of rocks & minerals was right along those lines. 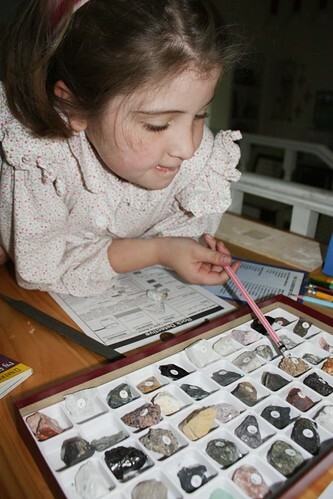 I wanted to start off with something that would immediately get Sprite enthusiastic about the topic, so I assigned her to choose any four rocks from our collection and fill out the Rock Detective page from Considering God’s Creation. 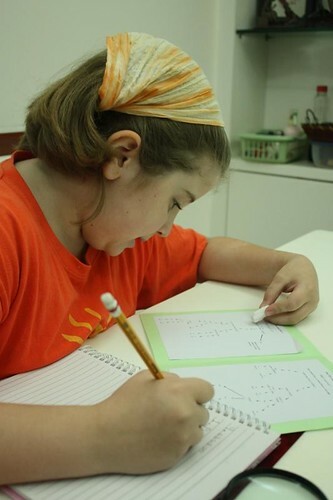 CGC is a wonderful resource for elementary level science and nature study. You can read my review of this curriculum here. 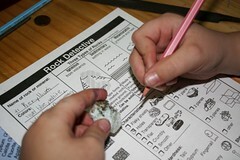 Hands-on study of rocks and making notes. 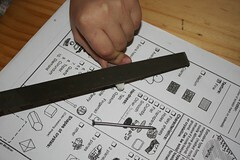 Testing hardness with a scratch test and a steel file. Sprite adored studying the rocks in this way and did more than the four I asked her to do. Then we did some reading from living books, tying in the facts in the books to what Sprite had already experienced with her rock exploration. I’m so glad we had the Kingfisher Encyclopedia because the two other books, although good books, are a bit too simplistic for 5th grade Sprite. Then Sprite compiled all she’d learned into this brilliant notebooking page. Next we went back to some hands-on work. 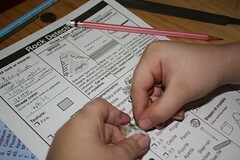 Sprite used a flow chart from Earth Logic: Our Dynamic Earth, part of the Science Logic curriculum, to identify some rocks I selected for her. Testing a reaction with vinegar and more filing. And of course, documenting it all in the science notebook. Next step was focusing on the Moh’s Hardness Scale. Sprite did a fantastic job on this notebooking page. The part that most impressed me was her chart at the bottom. 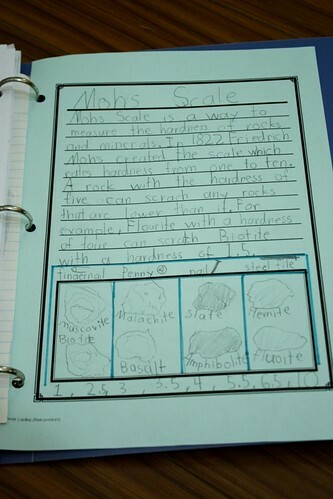 I noticed rocks there that were not in the hardness diagrams of our book, and when I asked her how she chose them, she said she tested the hardness of the rocks herself. I was so excited that she trusted her own observations and didn’t feel a need to simply copy the book. We then shifted to the computer for watching some great visuals of the rock cycle. 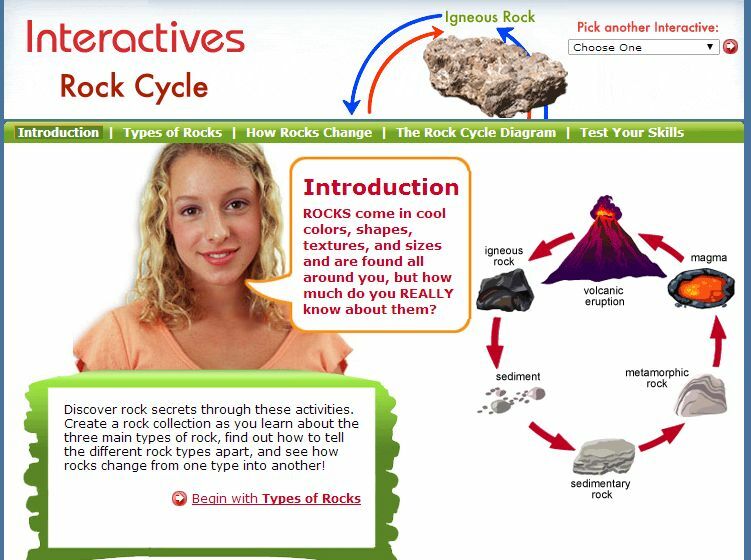 I thought this collection of interactive rock cycle diagrams and quizzes was the best online rock resource. The website says it’s for grades 7-9, but it was accessible for 5th grade Sprite with my help. It goes through all the basics with really clear visuals and then assesses with some nice quizzes. 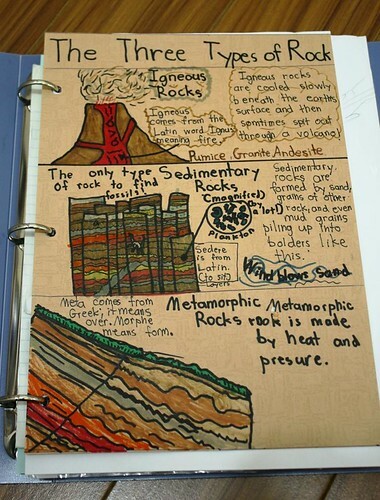 My plan was to have Sprite make a notebooking page with the rock cycle. But watching her as she did the quizzes, I realized that she didn’t grasp the concepts well enough to go forward with a narration. So I changed plans and located a good diagram I could cut up. That image was a good base, but it was a bit tiny, so I started to whip up some printable rock cycle pieces using Publisher. Voila! I had a moment of inspiration. Instead of giving her the pieces, I should have her make the pieces herself. When I was a public school teacher, I heard a lecture by another teacher who asked a very penetrating question, “Who is doing all the work? You or the students?” This was Charlotte Mason’ s problem with unit studies, too. She felt the teacher did too much digesting and repackaging the information rather than letting the child do that. 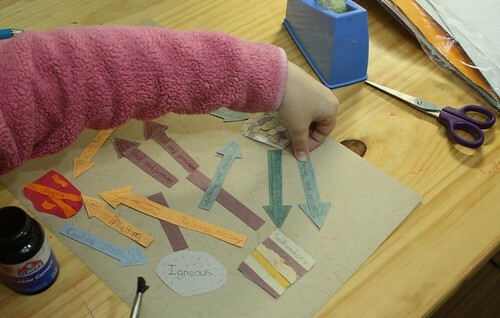 So instead of giving Sprite pieces to cut out, I gave her directions for making the pieces. And then she used them to demonstrate the rock cycle. This is her finished product. 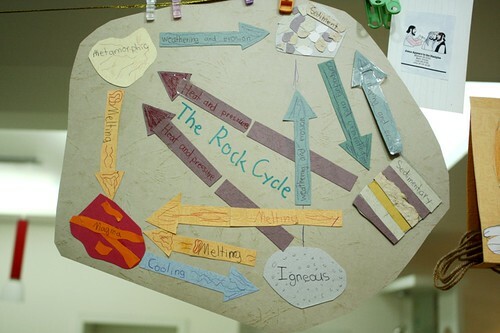 Then, of course, I asked her to use her diagram to explain (narrate) the rock cycle. I now feel confident that she understands the processes in the rock cycle. And she told me (again) that she loves making things like this. I know that not all children enjoy creating with paper, but this style fits Sprite to a tee. The document I created can be downloaded on the Freebies page or directly from here. The document does include the printable pieces which were my original idea. Feel free to use those if your child does not benefit from or enjoy making things himself. We are all different, and you may not want to invest as much time in the rock cycle as we did. I love it. That looks so much fun. .-= Ticia´s last blog ..How to host a pirate party =-. What absolutely beautiful pages she has created. She could make her own children’s books. Who knows…we might see on the bookshelves in bookstores in the future…Congratulations to both of you for work well done. @Drue — Shucks! 🙂 Thanks. We love the gushing compliments. @Makita — Yes, I tend to go more and more hodgepodge as the years pass. Next year is really going to be crazy! I’m totally winging it with science. I guess I should say that I’m creating my own curriculum. @Kris — I admit. I’m a geek. I’ve always loved rocks. Thankfully I was able to transmit that passion to Sprite. @Melanie — I do agree that depth is often more important that breadth. I mean, you want both. But rushing through something just to get done is of so little value. We go on tangents when we spend lots of time on science or lots of time on composers, etc. It works for us. @Rhonda — Well, I know what we’re doing for 6th grade. But that’s as far as I know. We’re doing a study of the human body/anatomy/medicine. I’m creating it myself. I’ve selected and ordered all the books. Don’t worry. I’ll be blogging it. But there’s not much to blog yet besides a book list. 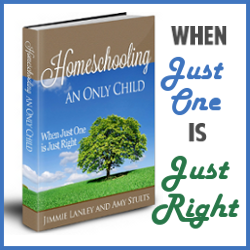 @Dana — I do think that individualizing our instruction to meet our children’s needs is a huge benefit of homeschooling. 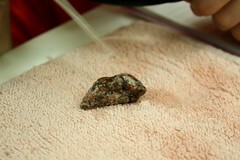 But then again, it’s just plain fun to do experiments with rocks. @Richele — Hated rocks? Oh, wow. The geek in me took that to heart. It hurts. LOL. Add it in! But be sure to make it hands on. Get a rock set or go outside and collect some rocks of your own to smash, scrape, and test. That’s the best part! @Marsha –Well, I usually schedule science daily. But reality is that we may do a few days worth of lessons in one afternoon. (And that means it get skipped other days.) If Sprite gets interested, we just keep going. She’s got an incredible attention span when engaged. And some weeks we may not do science at all. So I guess we’re more into chunks of learning. The blog post here covered about two weeks of time. Wow! I love how you take all the curriculum resources and make it your own! This post really brings to life how you teach Sprite … a great visual and learning tool for others. .-= Makita´s last blog ..Social Networking Explosion =-. Wow! What great ideas and hands-on activities. You got ME excited about learning about rocks. Another great post that makes me want to send my kids to your house for school. 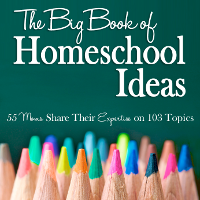 .-= Kris @ Weird, Unsocialized Homeschoolers´s last blog ..Review and Giveaway: BibleCo =-. No, seriously, you always seem to post just what I need for inspiration! I am reminded again and again that it is depth not breadth I am after with my T.
.-= Melanie´s last blog ..Homeschool Headache =-. Wonderful post, Jimmie! 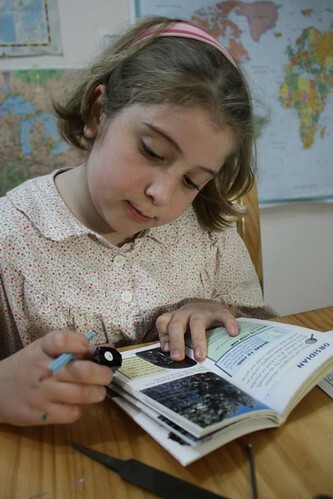 I love how you worked to find just the right teaching method so Sprite could make the information her own! great! I’ve been procrastinating blogging about our rock unit and you inspired me to get it together. I love your pictures and your links. Very thorough. I love this! My kids are bit older than your daughter (6th and 7th grade) and I’m wondering what you plan to do for the upper years for science (if you know yet). Science is such a weak point in our homeschool. 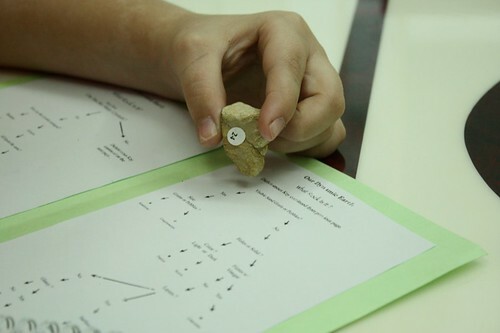 I hated studying rocks…but you made this look great! 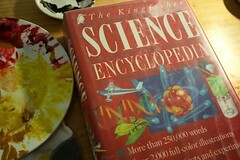 I just may add a unit to my kids science curriculum next year. .-= Richele ´s last blog ..Homeschooling family spreading the suds: Virginia Soaps and Scents =-. Wow, what a complete study! 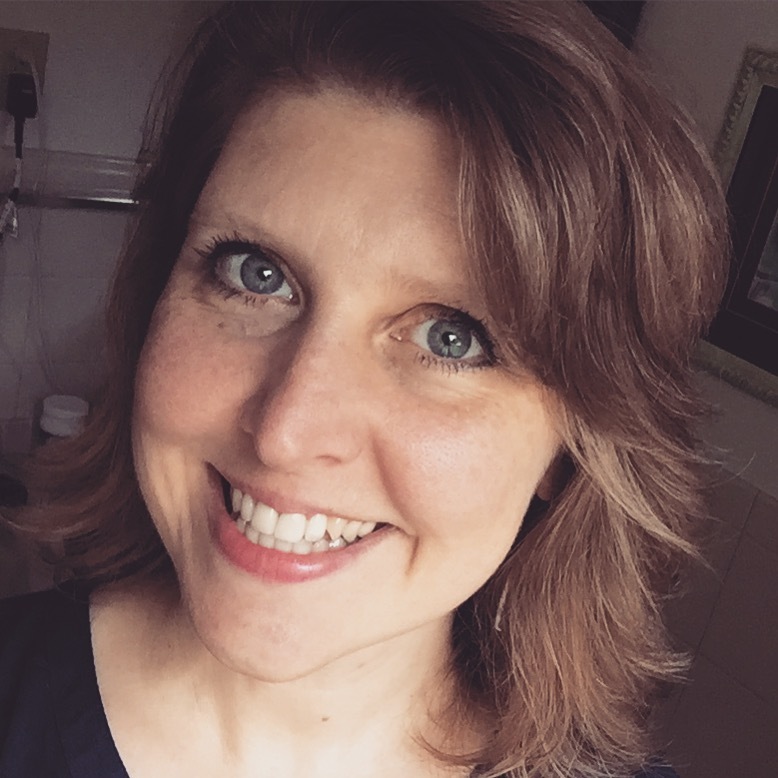 .-= Marsha´s last blog ..Posse (homeschool style) =-. Thanks so much for this great post! Lots of superb ideas! Awesome study!!! Mackenzie and I are ready to come over and study rocks now. .-= Stefanie´s last blog ..Muffin Tin Monday: Yellow =-. She did an excellent job on her notebooking pages. Wow! That is a great CM study! Thanks for sharing. I know I’ll be heading back here when we study rocks. .-= Dana´s last blog ..Traditions: Doughnut Shop =-. 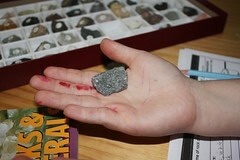 My MIL is a rock hound and I know we will studying rocks indepth. 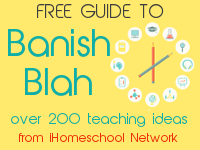 So many great ideas in this blog that I’ve bookmarked it! And I’m sending it to a friend who wanted to do a rock show and tell with the kids. I like Sprite’s ‘Brilliant Note booking Page’! I’m so glad you shared this. My daughter asked to learn about rocks, and wasn’t sure what to do. Thanks. .-= sarah in the woods´s last blog ..St. Patrick’s Day Fun AND Our New Chicks =-. This is fantastic! I’ll be using many of the ideas with my 4th graders- thanks! Ha ha!!! I was looking for some resources on types of rocks and the rock cycle to use with my middle schooler, and look where we wound up!! Hey, lady!!! Many of God’s continued blessings on you and your family!!! I just found the link to your rock study and wonder what the living books are that you used for this study. Your daughter’s note booking is so inspiring as I learn the Charlotte Mason model!